That said, I have to admit to initially being wary of Pixar going back to the Toy Story well when they had spent the decade since the second film creating such wonderfully original pictures as The Incredibles, Wall-E and, my personal favorite, last year’s Up. But those qualms vanished within the first five minutes of the third installment, when director Lee Unkrich (stepping in for Pixar founder John Lasseter, who helmed the first two chapters) stages an eye-popping action sequence that gives the toys a rousing re-introduction. Watching Woody (Tom Hanks), Buzz (Tim Allen), Jessie (Joan Cusack), Rex (Wallace Shawn) et al enter screen right after ten years away was a little like re-connecting with old pals. Suddenly, I wasn’t the 32-year-old family man and film critic, but the 17-year-old dweeby movie buff who cheered and applauded the first Toy Story fifteen years ago. 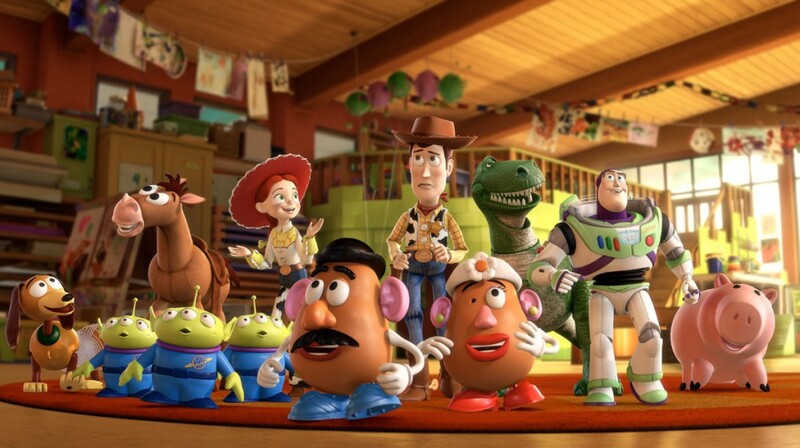 Age and the passage of time is the primary subject of Toy Story 3, which bases its storyline around an idea expressed in the closing moments of Toy Story 2. As you may recall, that film ended with Woody telling Buzz that they’d stick by Andy until the day he didn’t need them anymore. As the new film begins, that day has long since past; now a college-bound 18-year-old, Andy’s current toys of choice include video games and the electric guitar. The few toys that remain from his younger days lie unused and ignored in a chest full of junk in his room. 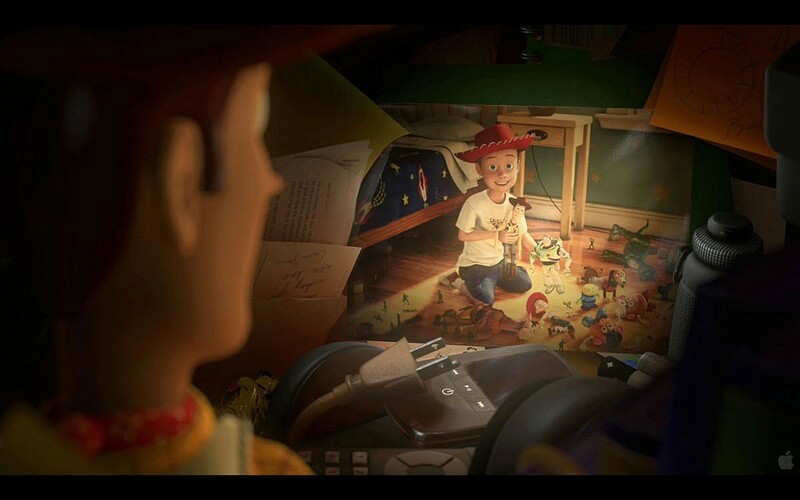 Ordered by his mom to sort out his personal effects before heading off to school, Andy initially opts to store his old playthings in the attic (save for Woody, who he places in his “College” box), but through a series of small unfortunate events, the toys instead end up being donated to a local day care center. Broken-hearted at apparently being abandoned by their owner, Jessie, Rex, the Potato Heads and the rest of the gang view their new home as a godsend. Finally, a place where they’ll always be played with by a never-ending stream of young kids! But this primary-colored utopia quickly reveals its dark side. For starters, all new toys have to serve a tour of duty in the “Caterpillar Room” populated entirely by the under-2 set, an age group not known for their ability to play well with toys. (To be honest, I was surprised that the adults running this day care didn’t constantly monitor the rooms to make sure they were filled with age-appropriate toys. Potato Heads in particular are choking hazards people!) This policy was instituted by the day care’s ruling despot Lotso a.k.a. Lotso Huggin Bear (voiced wonderfully by Ned Beatty), a teddy bear whose strawberry-red exterior masks a twisted heart. Having been lost and then replaced by his own owner many years ago, Lotso has created an environment where all toys are easily disposable. Survive a few rounds in the Caterpillar Room and you’ll graduate to the Butterfly Room filled with older kids that know how to treat toys. Lose a limb (or a tail or an eye) and you’re bound director for the garbage chute, which leads to the dump, which leads to the incinerator. After Lotso alters Buzz’s mind (courtesy of an instruction manual) to win him over to his side, it’s up to Woody to mount a great escape and lead his friends back to Andy’s room. To don the cap of a killjoy critic for a moment, I have to admit that Toy Story 3 isn’t as seamlessly constructed as the first two films. The fingerprints of Unkrich and his screenwriter Michael Arndt (the author of Little Miss Sunshine and one of the few writers that Pixar has employed that’s not part of its founding brain trust) are a little too apparent throughout, as they push the characters into certain situations and scenes that exist purely to set up future plot points. (There’s a way to do this where the foreshadowing isn’t quite so blatant—again, see Toy Story and Toy Story 2 for examples.) Arndt’s script also occasionally takes a sledgehammer to ideas that could be communicated with a little more subtlety. (It makes sense that Woody would be angry with his friends for not wanting to return to Andy. But did that argument really need to repeated multiple times?) And then there’s the issue of the film’s ending, which functions primarily as an extended (and somewhat self-indulgent) curtain call for the cast and goes on five minutes longer than it probably should. 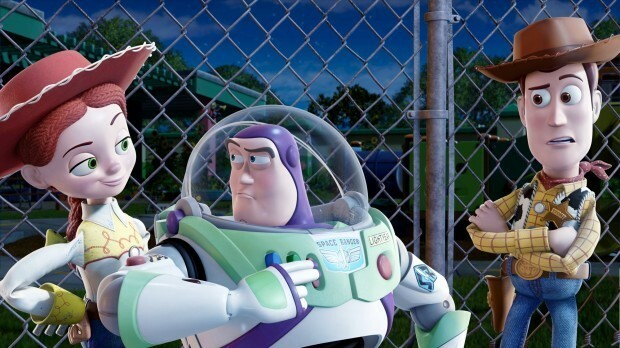 Certainly, Toy Story 3 puts every single Hollywood blockbuster released so far this year to shame, not simply in terms of its humor and heart, but also as a whiz-bang spectacle. I’m not exaggerating when I say that all of the film’s action sequences are flawlessly executed, packed with clever details and did-you-see-that! bits of choreography that only further reveal how incomprehensible the set-pieces in “real” action movies like The A-Team and Jonah Hex have become. Pixar’s primary achievement with Toy Story 3 isn’t making a third chapter that measures up to the standards set by the previous two; it’s producing a big-budget film that expertly balances light and dark, asking audiences of all ages to consider a number of serious and even somewhat scary questions while also enjoying superior spectacle-driven entertainment. Toy Story 3 opens in theaters today. This synopsis of TS3 was amazing. I myself almost came to tears during the final scene. Rarely does a sequel (talkless a second sequel) produce the same awe and stature as the first installment of a movie, but TS3 not only surpasses the first two installments, but blasts them into a new galaxy. I’m 100% going to watch this movie again in theaters some time soon! The only gripe that I can utter was the price of the movie. I paid over $15 to watch it in disney digital 3D. Had this been any (other movie other than Toy Story or Avatar), I would have skipped the movie, but now that I’ve watched TS3 in its entirety, I feel that my $15 was well spent. 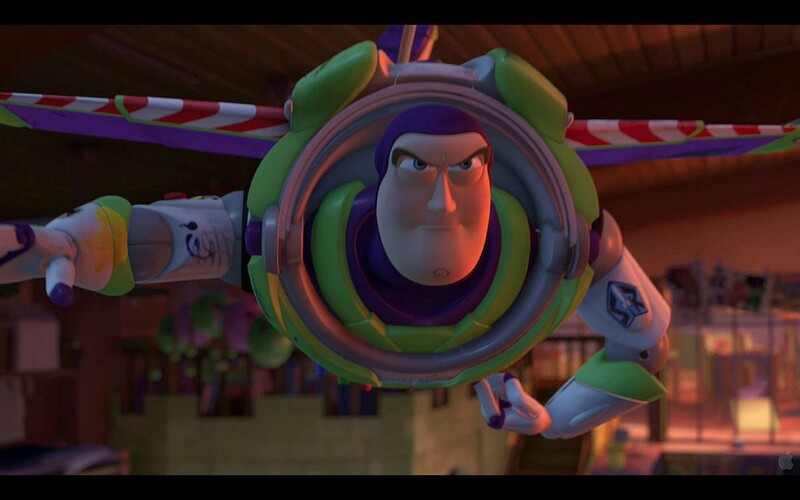 I really wish, now that I’ve watched TS3, that Pixar would produce a “Toy Story 4: Back to Sunnyside”. Whether they do or not, this is the best animated film I have EVER seen! NYC Film Critic is powered by	WordPress 4.2.23 and delivered to you in 0.180 seconds using 35 queries.